Notes Views are in part or in full supported only by the AMAG software. This integration is based off of evAPI. Focus/Iris control not supported. Audio not supported. Notes Views are in part or in full supported only by the AMAG software. This integration is based off of evAPI. Integration Support Contact Please contact Exacq Technologies for support issues. Notes Views are in part or in full supported only by the AMAG software. This integration is based off of evAPI. Integration Support Contact Please contact Brivo for support issues. Plugin Link Refer to manufacturers web site. Integration Guide Refer to manufacturers web site. Notes This product has not been tested by Exacq but has been verified by the manufacturer. This integration is based off of evWebAPI. 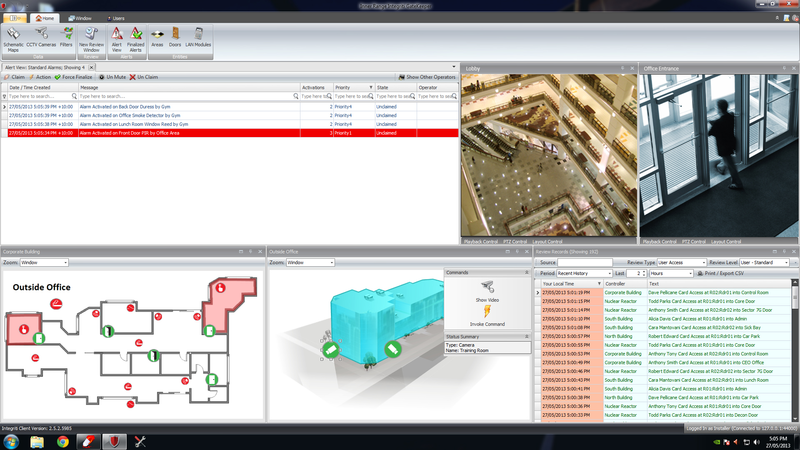 Notes exacqVision system must be set to record full time on any cameras that intend to be used with Centaur. Centaur makes requests for recorded video. There are no integration details for this product. Notes This integration solely supports PTZ, Live View and Recorded View video. This integration is based off of evAPI. Notes Views are in part or in full supported only by the G4S software. This integration is based off of evAPI. Integration Support Contact Please contact Gallagher for support issues. Plugin Link Please see manufacturers web site. Notes This integration is based off of evAPI. Integration Support Contact Please contact Integrated Control Technology for support issues. Notes - PTZ Command may have a delay of up to 10 seconds from time of event. Notes This product has not been tested by Exacq but has been verified by the manufacturer. This integration is based off of evAPI. Integration Support Contact Please contact Identicard for support issues. Integration Support Contact Please contact Infinias for support issues. Notes This integration is solely soft trigger event driven. 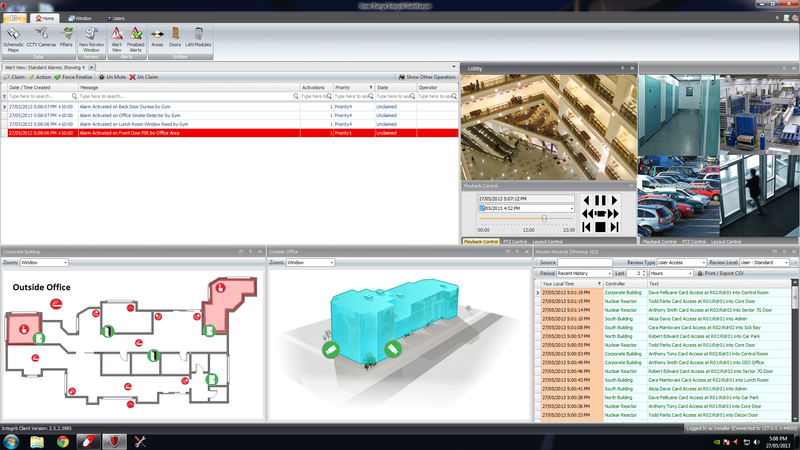 All events are triggered by Intelli-M and carried out by the exacqVision server. This integration is based off of evAPI. Integration Support Contact Please contact Inner Range for support issues. Integration Support Contact Please contact Key Scan for support issues. Notes This product has not been tested by Exacq but has been verified by the manufacturer. This integration is done through the command line. - If adding cameras manually, camera name in Lenel must match exactly the name in exacqVision. - Alarm Monitoring and Video Viewer may require a restart if camera/channel configuration changes while those applications are open. - It may be necessary to lower the resolution of cameras if playing more than 11 video channels within OnGuard at once. Notes - Lenel driver version 6.6.415 passed certification testing by Lenel - Video Export, PTZ Control, and Views are either in part or in full only supported by the Lenel Onguard software. - This integration is based off of evAPI. Notes - Lenel driver version 6.6.287 passed certification testing by Lenel - Video Export, PTZ Control, and Views are either in part or in full only supported by the Lenel Onguard software. - This integration is based off of evAPI. 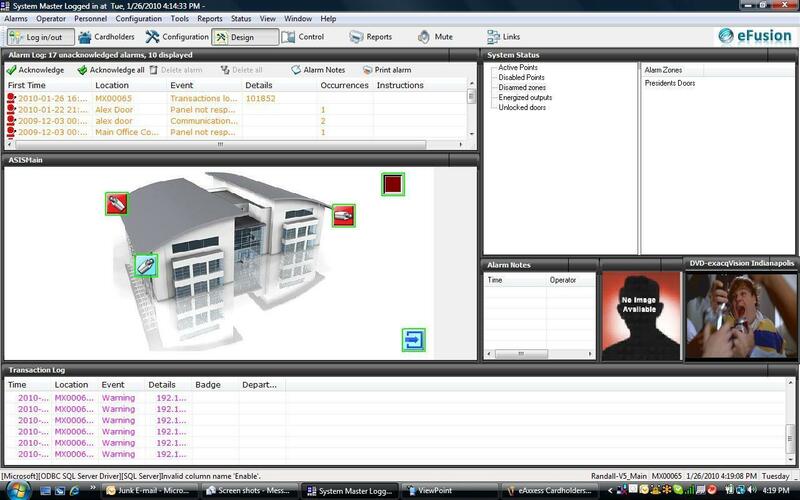 Notes Video Export, PTZ Control, and Views are either in part or in full only supported by the Lenel Onguard software. This integration is based off of evAPI. Integration Support Contact Please contact Maxxess for support issues. Integration Support Contact Please contact Open Options for support issues. Integration Support Contact Please contact Paxton for support issues. Integration Support Contact Please contact PCSC for support issues. Integration Guide Please see manufacturers web site. Notes This product has not been verified by Exacq. It has been verified by the manufacturer. This integration is based off of evAPI. Notes All exacq systems must be configured with the same login credentials for connecting multiple exacq systems to AxiomV. Integration Support Contact Please contact RS2 Technologies for support issues. Notes Uses the Command Line Interface. PTZ and Video export functions are handled via right-click context menus in the eV client. Notes This product has not been tested by Exacq but has been verified by the manufacturer. This integration is command line based. Notes This integration requires an exacqVision Professional or Enterprise license. Notes This integration is based off of evAPI and evWebAPI. Notes - Soft Trigger actuation by CCure9000 on the exacqVision recorder is not functional. - Calling camera presets as an event based action may be intermittent in operation. Notes CCure800 integration will add 100 second pre and post recording parameters to event driven recordings (recordings using event links and soft triggers on exacqVision). No camera auto-discovery.